Hibernian have lifted the SSE Scottish Women’s Cup for the third year in succession, securing a historic treble double by defeating Motherwell 8-0 on Sunday afternoon, writes Robbie Castle. The Hibees put in a stellar performance against the SWPL 2 Champions ending the 2018 season on a high, at Firhill Park in front of a nearly 2,000 strong crowd. A brace from Abi Harrison, a hat-trick from Jamie-Lee Napier, as well as goals from Cailin Michie, Lauren Davidson and an own goal gave the Edinburgh side the incredible victory. Hibernian started the match with real intent, and found the opening goal within 3 minutes of kick off, thanks to Harrison, who opened up her body on the edge of the box, and curled the ball into the back of the net to make it 1-0. It was goals galore for the Edinburgh side, with number 3 coming on the 15-minute mark. Another cross, this time from a corner delivered by Lisa Robertson, allowed Abi Harrison to find her second of the evening, pushing the Hibees closer to the cup. Hibernian had no plans to rest on their laurels, and the 4th goal nearly came after 20 minutes, with Chelsea Cornet getting herself on the end of another cross, forcing Farrell into a fantastic save to keep the score at 3-0. Hibs’ top scorer Harrison was unable to grab a hat-trick this time, as she was forced into being substituted, having picked a knock. Her goal tally therefore finished at an incredible 27, as she was replaced by Lauren Davidson after half an hour. It didn’t take long for Davidson to channel the Hibees’ top scorer, and she herself found the back of the net 3 minutes after coming on, having been played in to the box, she calmly slotted the ball past the goalkeeper to make it 4-0. 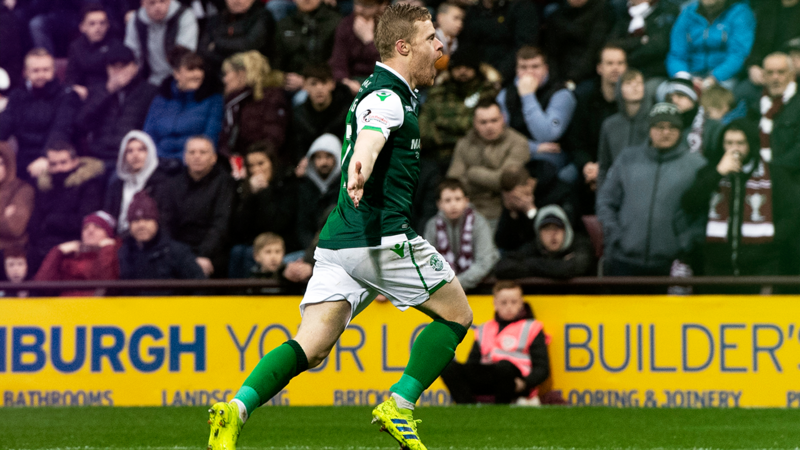 Hibernian kept pushing and pushing, determined to put the game past any reasonable doubt and get their hands on that cup double, and goal number 5 came through a Motherwell own goal. A McLauchlan cross took a huge deflection and looped into the net after 38 minutes, making the scoreline 5-0. Hibernian scored one more time in the first half, this time it was Michie, who took the ball round the Motherwell defence on the edge of the box, and fired the ball past Farrell, to make the score an incredible 6-0 going in to half time. Motherwell kicked off the second half, with mission impossible on their hands. They looked a little sharper with plenty of driving into the Hibernian half, however, unable to breakthrough to get a clean shot away. Goal number seven was not far away for Hibs however, as another cross from McLauchlan was whipped in to the box, and Napier was waiting yet again at the back post, and nodded the ball home on the 50 minute mark, to grab her second and make it 7-0 to the Hibees. Hibernian were dominating all over the park, right from the defence to the attackers. In particular, they were absolutely terrorising the Lanarkshire side down the wings, creating plenty of chances for the forwards. Napier and McLauchlan were causing complete pandemonium to Motherwell’s full backs. Napier found her hat-trick after 63 minutes, after following in McLauchlan’s effort was saved by Farrell, before it was slotted away by the in-form winger to make it 8-0. It looked a certainty that Hibernian had made it 9-0 after 77 minutes. Emma Brownlie made a superb run into the Motherwell box, and delivered a low cross across goal, finding the fantastic McLauchlan at the back post, who somehow managed to hit the ball well over bar from close range. 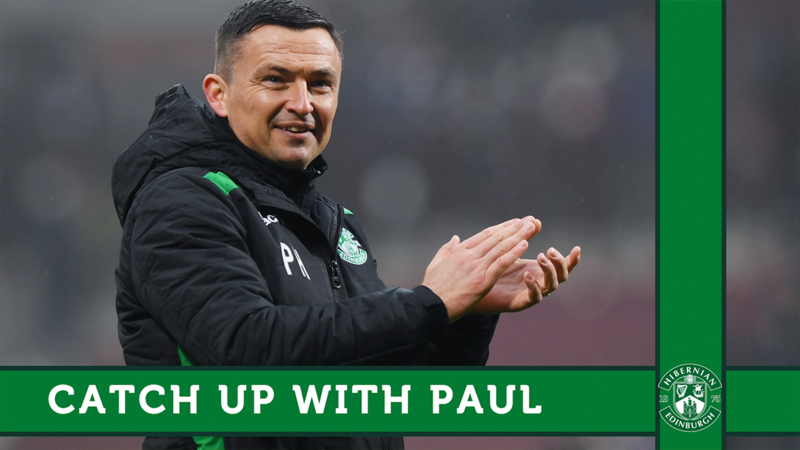 The Hibs attacker can take solace in the fact she terrorised the Motherwell defence throughout the match, and bagged herself four assists in Hibernian’s Cup final demolition of the Lanarkshire side. The match finished 8-0 as Hibernian lifted the SSE Scottish Women’s Cup, for a third year running with an incredible performance giving the Edinburgh side a cup double for the third season running. Hibernian: Fife, Napier, Hunter, Robertson, McLauchlan, Michie, Murray, Cornet, Harrison, Brownlie, Reilly. Substitutes: Williamson, Tweedie, McGregor, Davidson, Gallacher, Notley. Motherwell: Farrell, Nicholson, M.Welsh, Condie, Turner, McLaughlin, Hare, Cunningham, Mulvey, Black, Burn. Substitutes: K.Welsh, Mothgomery, Reside, Russell, Canavan. The curtain has now fallen on the 2018 season, with the Hibees ending the season with more silverware. In 2019, Hibernian will look forward to a UEFA Women’s Champions League campaign, as well as the defence of two domestic trophies and a League Title Challenge on the cards. We’re buzzing for 2019, so follow @HibsLadies on Twitter as we build up to what will surely be another exciting season.